The Icelandic band accompany the release of their brand new We Built A Fire album with this equally new EP, collecting six of the group's folkier efforts. 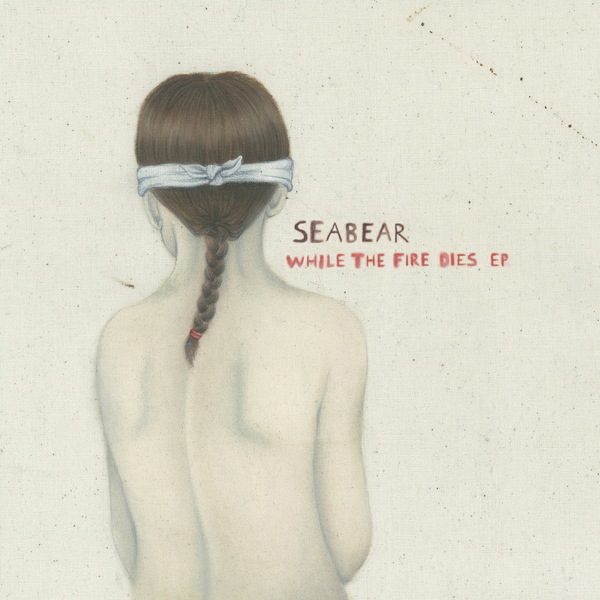 Given how expansive and fully-formed a beast the long-player is, this relatively stripped back, low-key companion piece feels like a nice representation of another side to what Seabear do. The band did afterall start out as a solo project for songwriter Sindri Mar Sigfusson, so peeling back the layers feels like a very natural thing to do. 'Pocket Knife' is an uptempo, skiffling acoustic twanger with lots of energy about it, but this barn-dancing temperament isn't necessarily in-keeping with what's to come. 'Arms' is like a great Sufjan Stevens ballad, played out on banjo with pristine female vocal harmonies, while 'Bright House' is a slow country-rocker with strings and chimes, sounding a little like Sparklehorse circa It's A Wonderful Life. The EP rounds off with two more snappy hoedown numbers, 'Singing Arc' and 'Leafmask II', leading into the closing string ensemble heartache of 'Doctor'. Lovely.